Day of Wrath is the companion of The Fair Race’s Darkest Hour, where I collect the essays of other authors for readers who want to save the white race from extinction. 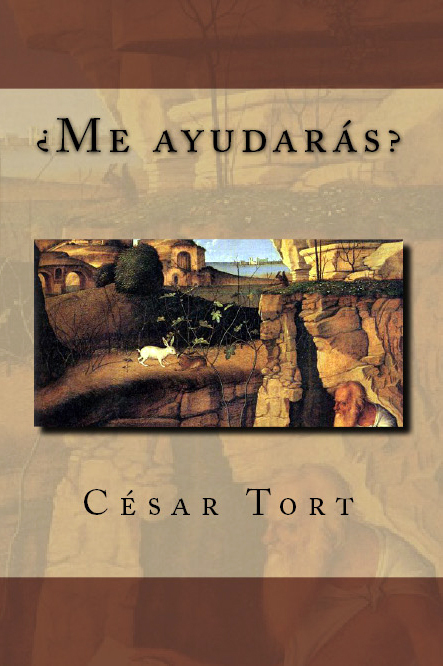 Under the covers of this book I include six Spanish-English translations from chapters of my volumes Hojas Susurrantes and ¿Me Ayudarás? plus a fantastic blog essay that gave the title to this book. The following is a brief recapitulation of the seven texts that appear here. I wrote “Dies Irae” at the end of 2012 as a blog entry for The West’s Darkest Hour. Since it refers to the 14 words, to contextualize this concept it is advisable to become familiar with the viewpoint of white nationalists in The Fair Race. The rest of the book is not composed of blog entries. Hojas Susurrantes consists of approximately 256,000 words. It is the first volume of my philosophical autobiography. In 2006 I wrote the text reproduced here, “Unfalsifiability in Psychiatry”: a fraction of the second chapter of Hojas. In that essay, I try to show that the profession called psychiatry does not meet the scientific requirement to distinguish it from pseudo-sciences. I finished the fourth section of Hojas in 2008. In the present translation, I interpolate brackets in italics, and also explaining passages, for those who have not read my volumes in their original language. The texts “The Trauma Model,” “The Feathered Serpent” and “Psychohistory” are taken from this fourth section of Hojas. In these chapters I lay the foundations of the trauma model: the paradigm opposed to the pseudoscientific medical model of mental disorders taught in the psychiatry departments. The aim of the trauma model is to demonstrate that abusive parents have driven their children mad throughout prehistory and recorded history. ¿Me Ayudarás? is the second volume of my autobiography. “God” is a translated section from its first chapter and “Dying in a Louis XVI-style bedroom” is taken from the very introduction. Like the other chapters, it has been adapted for this English translation. This last text is a portrait of my soul that connects with the first essay, “Dies Irae,” day of wrath in Latin. What is redeemable in psychohistory? The best introduction to the sane side of the deMausean thought available on the internet appears in the third part of the book The Emotional Life of Nations, especially in the final chapters: “The Evolution of Childrearing” and “The Evolution of Psyche and Society.” However, even in the following pages, where I would like to spare the salvageable part of deMause’s legacy, I will continue the criticism of his psychohistory. DeMause likes to interpolate ever-ascending charts on the historical treatment of children in his books, and even once he wrote that primitive humans treated their children better than our ape ancestors. I do not think that is true. The most terrible form of interactions between parents and children is the ritual sacrifice and cannibalism of one’s own children: a level of cruelty that has not been observed in primates other than man. Also, deMause assumes a gradual improvement in child treatment from 460 AD to approximately 1100 AD: an impossibility if we consider that we have no childrearing data around 8th century Europe. This mistake does not invalidate the salvageable part of deMause’s model: only the dogmatic idea that the treatment of children was always from worst to least bad. In The History of Childhood deMause writes: “The image of Medea hovers over childhood in antiquity.” But in post-Homeric Greece it was already unusual to kill grown-up children as Medea did. The insistence on denigrating the Classical World is derived from the deMause’s dogma that childcare has always gone from worse to less bad, from major to minor abuse: the eternal upward charts in deMausean psychohistory. The prolific Jewish psychohistorian Robert Godwin, for example, emphatically dispatches the Greco-Roman world as barbarian in terms of upbringing. Once again: regarding the Jewish narrative versus the Aryan, in the next chapters we will see who were really the most barbaric. Not only does the classical world refutes deMause. Julian Jaynes, the author of the book that could be classified as a different kind of psychohistory, implied that the cruel Assyrian law contrasted sharply with the Code of Hammurabi, written six centuries earlier. However, deMause might not err in his assessment of the West from the 12th century AD onward. One of my most memorable readings, based on the captivating television series by Kenneth Clark, was the second chapter of Civilisation about the “The Great Thaw” of Europe at the beginning of the 12th century, as well as the next chapter on courtly love: the West had invented love. The thaw was nothing other than the beginning to treat European women better than what non-westerners did in the rest of the world; hence the treatment of these women to their children changed. From the late 13th century begins the historical record of the death penalty in cases of voluntary infanticide. In addition to their relatively high IQ, psychogenically speaking the people of Europe would evolve more than the rest of the world. But the white man of the present is suffering the worst psychosis in the history of the West. When by the end of 2008 I called deMause’s attention on the issue of the betrayal that the white man inflicts on himself with mass migration, I realized he knew nothing about the subject. This has led me to think that his chart that appears in his texts about the evolving historic personalities is flawed. DeMause puts there as inferior the psychoclass that has as its model the “patriotic” man compared to the “activist.” The truth is that patriots are precisely the ones who defend their nations against the greatest evil of our times: race replacement. Unlike the ivory tower where both deMause and the academics live, it appears that the recent Western self-treason represents the most serious, plummeting drop in psychogenesis since prehistory. The case of deMause is aggravated by his Jewish colleagues who abhor not only the Classical World but the West in general: a position that has infected and corrupted his school of psychohistory since its inception. I have not been able to corroborate that deMause himself comes from a Jewish family, although the names he gave to his children, as well as his extreme aversion for the Third Reich, would seem to suggest it. DeMause’s mistakes do not end with the discussion in previous pages. Since he sometimes uses his sources very loosely, the possibility exists that his psychohistory could consist of assumptions based on little, if any, evidence. I have found that occasionally deMause takes his data out of context, and that some of his pronouncements on subjects I know better contain serious errors. (For example, instead of the Mexica patron god, Huitzilopochtli, in his books he writes of him as an “Aztec goddess.”) Although such errors do not invalidate his theory, deMause could have used his sources more carefully. Problems with this. You’re using shoddy scholarship to try to back up an unprovable claim. DeMause provides no analysis or discussion of his sources, merely a catalog of horrific quotes. We cannot tell the context, nor can we take them as representative. Anybody can go through books and pick out quotes to make an argument. Since deMause’s work is criminally lax in scholarship, I suggest you try to use better sources. I just reread “A Modest Proposal,” and could see absolutely nothing that referred to rotting corpses of babies in the streets. The only reference was to children accompanying their mothers begging. This certainly makes me question the veracity of other statements in this article. No, Ark—I am fully aware that we live in a society where people do horrible things to children. I am also aware that this has long been the case. There are plenty of records out there for at least the Victorian area on things like the treatment of children in workhouses, and they clearly indicate widespread abuse of minors and women. I removed what I did [from the Wikipedia article] because I reread Swift and the deMause article you used as sources. Unfortunately, there seems to have been a lot of stuff quoted out of context. Some of the sources, like Philippe Ariès, I’ve read. If you want things to stay unchallenged, you’ve got to make sure they have recognizable merit. This is why I think we need to look beyond deMause. DeMause is only one of thousands of people writing on child abuse and infanticide. As a historian, I can see great gaping holes in deMause’s use of sources. It doesn’t make him wrong, but it certainly sets off warning bells—if the scholarship doesn’t stand up, then are the conclusions he draws really proven? After further critical responses from other editors, quite reasonable and civic, Ark quit editing Wikipedia, and this time definitely, on my birthday of 2002. I agree that the way deMause has used the sources lacks academic rigor. However, if as Julie and others advised, it could be possible to source deMause’s model with non-deMausean references, the psychohistorical structure would be supported upon a new sort of column. That is exactly what I did. In March and April of 2008 I massively edited “Infanticide,” the same article where years before Julie and Ark had discussed, adding a hundred references that I did not read in deMausean texts, but in a voluminous treatise of Larry S. Milner published in 2000. The model of the breakdown of the bicameral mind by surpassing the infanticidal psychoclass, is the cornerstone on which rests what remained of the psychohistorical building after my critique. Therefore, I will reproduce here what I added to that article, which I also translated for Wikipedia in Spanish. In my second book the critique of psychiatry contained such incredible facts that, unlike the other books, I was forced to include bibliographical notes. For the same reasons here I will do the same.